Brackish Water Fish are species of marine life that are able to survive in slightly salted water. A brackish tank system is defined by water with a specific ratio of fresh water to saltwater, referred to as “gravity” where the water maintains a fresh water level of 1 and a saltwater level of 1.025. There are numerous dynamics to consider when maintaining a brackish aquarium, even beyond the live fish you are keeping, one must also be mindful of the interactions of your plant life, equipment, and other general maintenance duties that require patience and an eye for detail. Brackish water aquariums and their fish require a delicate balance of freshwater and saltwater in their environment. It is common that Brackish water species be kept mainly in the same standard freshwater tank; however, a tool called a hydrometer is used to check the salt levels of the water. Specific fish do require changes to the overall salinity of the water after a specific amount of time. For example, after 6 months in a specific aquarium, there may need to be an increase in salinity for the fish to continue to survive. Temperature is also a key component to keep in mind with brackish water fish; typically these fish are required to have a more tropical atmosphere between 76 and 82 degrees Fahrenheit. In addition, most aquarists use common substrate such as aragonite sand or crushed coral to help maintain pH levels and water consistency. The brackish water fish species also often come from rivers, which in order to imitate that natural environment; it is common for a slow current to be created in the aquarium. It is also common for these fish to jump so a cover is also required for the aquarium top. 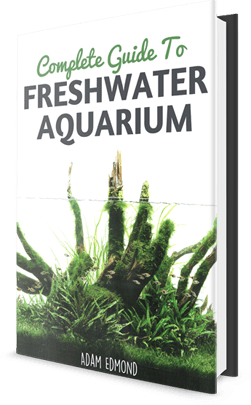 There are many different types of species an aquarist can choose from in a Brackish Water aquarium. Common brackish water fish species include Guppies, Black Molly, and Salfin Molly; these fish play well in a community and are fairly easy to maintain. Four-eyed fish and American Flag fish are also common in brackish waters. 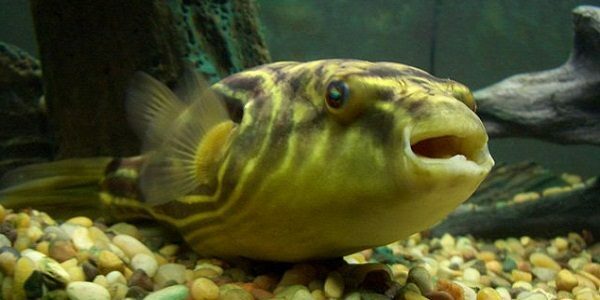 Pufferfish and Catfish are also common in brackish water environments and can provide a unique dynamic to your aquascape as they are less commonly used. Beware though as Pufferfish do require additional maintenance because they are such a sensitive species. 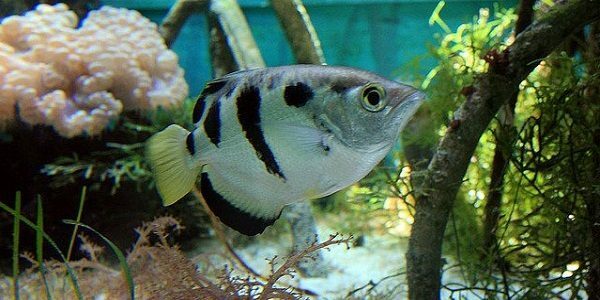 A few other interesting species to consider are Archerfish or Moony fish that can add a unique beauty and defining trait to your overall design. Invertebrate species are also quite common in brackish water environments such as Fiddler Grab and Olive Nerite. All of these species of brackish water fish require great attention to detail and a fair amount of maintenance to be sure they are thriving and living harmoniously amongst each other. However, the challenge for the aquarist is to maintain an environment that imitates the natural habitat of the fish so they can survive and illustrate a natural representation of their real life habitat. Brackish Water Fish are typically located in critical junctions between salt and freshwater, for example, deltas, swamps, and rivers coming in contact with the ocean in some shape or form. This natural conflict creates an interesting choice when implementing decorative plant life and hardscape. Fortunately, many plants are able to survive in brackish water conditions with the appropriate amount of oxygen and maintenance. Anubias, Cabomba, or Java Ferns are all very common plants that can survive in a brackish water environment. They can often handle salinity levels up to 1.005, which should also be enough to sustain the fish in your aquascape as well. Apart from plant life, rocks or shells are also a very common aspect of hardscape that can be implemented in your design to create a natural and low maintenance design. Overall, the brackish water environment shares many of the same species and characteristics as a standard fresh water tank. The challenge to the aquarist is to select the appropriate mix of plant life and livestock to represent a natural habitat that can live harmoniously. In addition, a close eye for salinity levels and regular maintenance are key to a successful brackish water fish environment. Careful selection of your plant life and fish will enable you to create a truly beautiful and unique aquascape that is an accurate and realistic representation of their habitat.